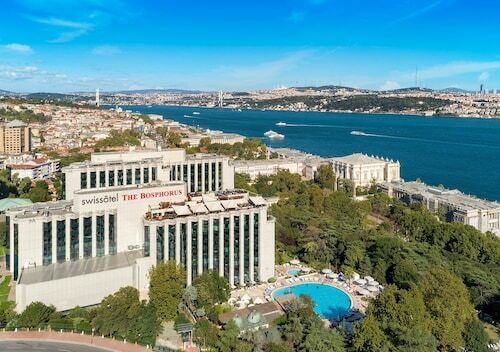 Located on the banks of the Bosphorus river, this Istanbul hotel is set in its own 65-acre park in the city centre with shops, restaurants and attractions nearby. Located in Taksim, this luxury hotel is within a 10-minute walk of Macka Park, Ataturk Cultural Center, and Acibadem Taksim Hospital. Taksim Square and Istanbul Modern Art Museum are also within 2 mi (3 km). Taşkışla Cable Car Station is only a 3-minute walk and Taksim Station is 9 minutes. 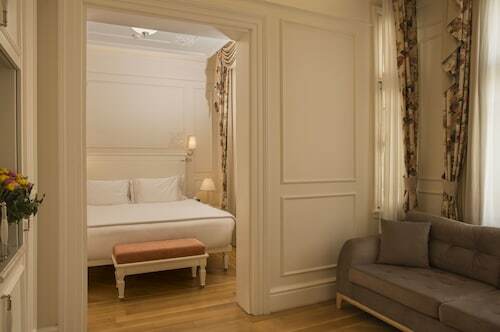 Located in Taksim, this historic hotel is within a 5-minute walk of Demiroren Istiklal and Istiklal Avenue. Taksim Square and Pera Museum are also within 15 minutes. Taksim Station is 9 minutes by foot and Tophane Station is 10 minutes. Situated downtown, Hilton Istanbul Bosphorus is a 25-minute drive from Ataturk Airport. Guests can walk 15 minutes to Taksim Square, the city's hub, or 3 minutes to ICC Congress Center. The Nişantaşı Shopping District is a 6-minute drive away and Dolmabahçe Palace is a 4-minute drive away. 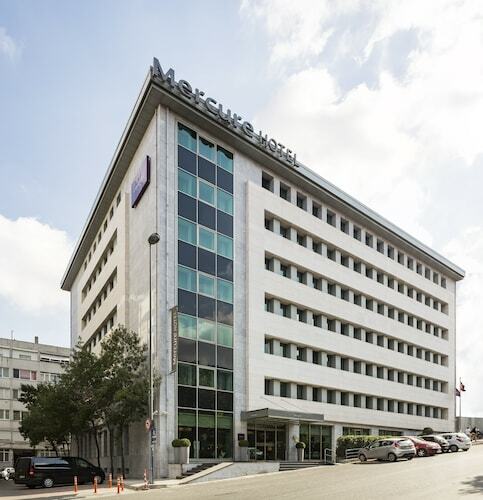 Located in Taksim, this luxury hotel is within a 10-minute walk of Istanbul Technical University and Taksim Square. Dolmabahce Palace and Istiklal Avenue are also within 1 mi (2 km). Taşkışla Cable Car Station is 5 minutes by foot and Taksim Station is 9 minutes. Located in Istanbul City Center, this luxury hotel is within 1 mi (2 km) of Galata Tower, Istanbul Modern Art Museum, and Spice Bazaar. Suleymaniye Mosque is 1.5 mi (2.3 km) away. Tophane Station is 6 minutes by foot and Karakoy Station is 7 minutes. Located in Sisli, this luxury hotel is within 1 mi (2 km) of Bomontiada, City's Nişantaşı Shopping Center, and Istanbul Cevahir Shopping and Entertainment Centre. Taksim Square and Dolmabahce Palace are also within 3 mi (5 km). Osmanbey Station is 13 minutes by foot and Sisli Station is 21 minutes.